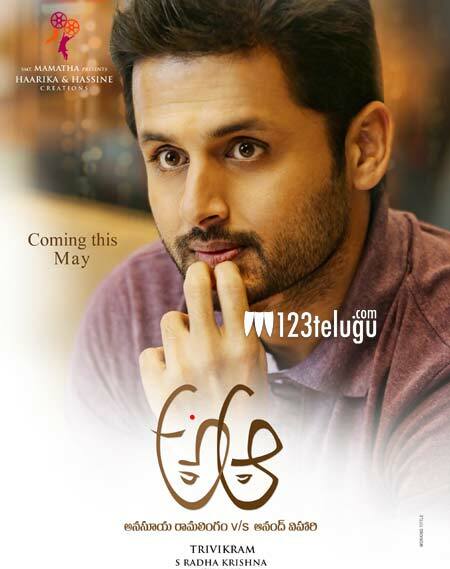 The shooting of Trivikram’s upcoming film with Nithin, A..Aa is fast completing its shoot. Meanwhile, latest update reveals that the young hero has started his part of the dubbing from today. Produced under ‘Haarika and Hassine Creations’, this film has Samantha as the female lead. This romantic entertainer which has music by Mickey J Meyer is up for a May 6th release and is produced by Haarika & Haasine Creations. Mickey J Meyer is the music director.